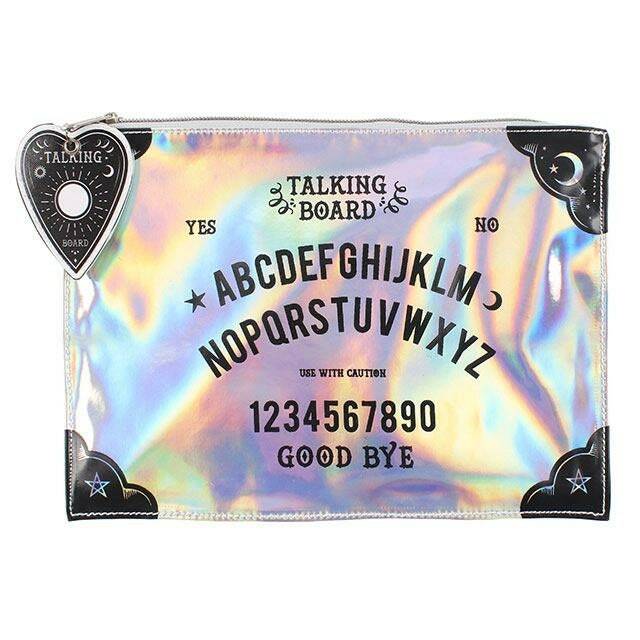 This iridescent makeup pouch features a spirit board design. The pouch is an ideal size for storing makeup, brushes and other beauty accessories. *© Luciferothica.com All Rights Reserved.